Rocket Matter Knowledge Base Tell Tali IntegrationHow do I export all my activities in Tell Tali? In order to make sure you have complete control over the data Tali has helped you record, you can easily export all your activity data as a single file. To do so, visit Settings in the Tell Tali Application and then click Export Data. 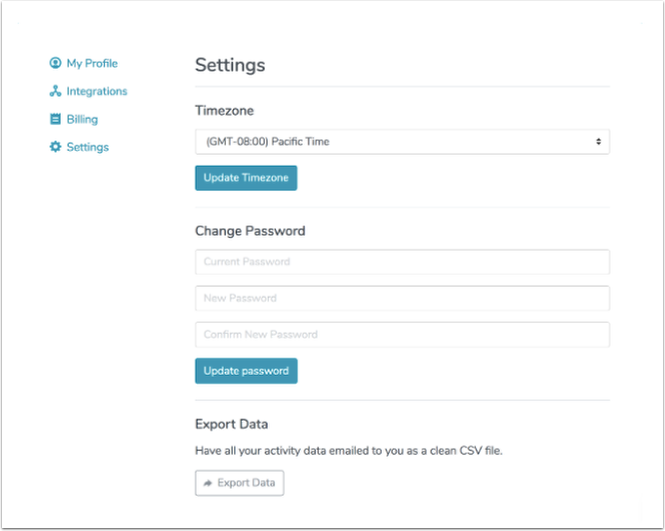 Via email, you'll receive a CSV file with all the activities you've recorded with Tali. Prev: What data does the Amazon Alexa record and store?